After graduation from the University of Alabama Law School in 1962, Mr. Hill was commissioned as a First Lieutenant of the Judge Advocate General Corp., United States Army, and served on active duty from 1962 through 1964, during which time he was promoted to Captain. 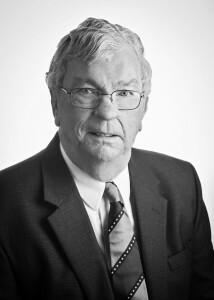 Mr. Hill joined the law firm in 1964 and has been in the active practice of law since that time. He was appointed and served as an Assistant District Attorney for the Fifteenth Judicial Circuit of the State of Alabama from 1964 through 1969. He is admitted to practice in all state courts in Alabama, the United States District Courts for the Northern, Southern, and Middle Districts of Alabama, and in the United States Court of Appeals for the Eleventh and Fifth Circuits. His present area of concentration is general commercial litigation and insurance defense, including general liability insurance litigation, product liability litigation, insurance fraud and bad faith litigation, and health insurance litigation.